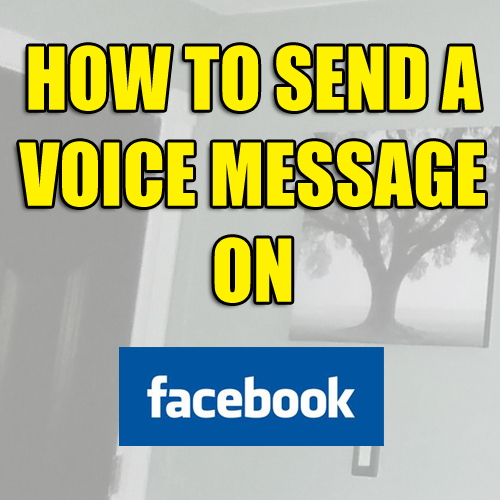 Today on Tip/Trick Tuesday I shared how you can send a voice message on Facebook to family or friends through messaging. A close friend of mine, Lex of www.lexshari.com shared this cool trick with me about 2 months ago and I figured it was high time I shared it with all of you. As soon as Lex showed me this cool trick I used it to Thank my Aunt Nellie for sending me something in the mail. Her response, though an instant message on Facebook, warmed my heart because she was so excited to be able to hear my voice for the first time since I was a young girl. It was the other day that my brother-in-law jumped on the phone when I called my sister just so he could hear my voice because we hadn’t talked in a long while. We keep up with everyone on Facebook but we miss out on hearing each other’s voices. While on a Smart Phone or Tablet open your Facebook App. Head over to your messages and select the person you want to send a voice message to. If you’re stumped and don’t know how to send a private message on Facebook check out this quick tutorial I wrote up, I promise it will help you. The next screen that pops up is the recording screen. Press and hold down the red button. Record your message (messages can only be 1 minute long). When you are done recording let go of the button and your message will be sent automatically!! That’s right, make sure that whatever you say the first time is what you really want to say because as soon as you release that button your voice message is sent. Once your message has been sent your friend or family member will be able to listen to it from any device and all desktop computers. What are you waiting for? Head over to your messages now and let that friend or family member hear the sound of your voice!! !